Jasmine’s going out for a nice autumn walk. Can you give her a make-up that fits to the season? Eye shadow, mascara, blusher, lipstick and different hairstyles, it’s all available, so go ahead and make it something beautiful! 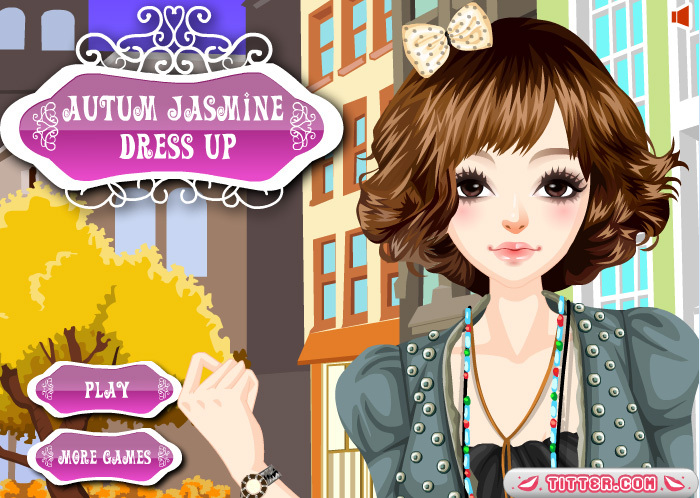 Go to the next page in the game and choose some fancy autumn clothes for Jasmine. Then, you add a nice background. You can add all kinds of decorations to this background, like a funny dog or some trees in autumn tints. You can increase or reduce the size of these items, and put them exactly where you want. Enjoy playing this make-up and decoration game!